Are your kids fans of the <a href="http://www.inhabitots.com/new-dr-seuss-eco-plush-collection-by-miyim/">Dr. Seuss</a> book <em><a href="http://www.amazon.com/Bartholomew-Oobleck-Dr-Seuss/dp/0833542125">Bartholomew and the Oobleck</a></em>? It's a fantastic story of the day Oobleck fell from the sky and wreaked havoc in the kingdom. Why not read this book together to celebrate Dr. Seuss's birthday today, and then head outside to make your own Oobleck? All you need are a few common ingredients you probably already have in the house. It only takes a few minutes to make, but it entertained my boys for several hours on a Saturday. They were mesmerized by the way that Oobleck is both a liquid and a solid, making for an afternoon of get-your-hands-dirty fun! 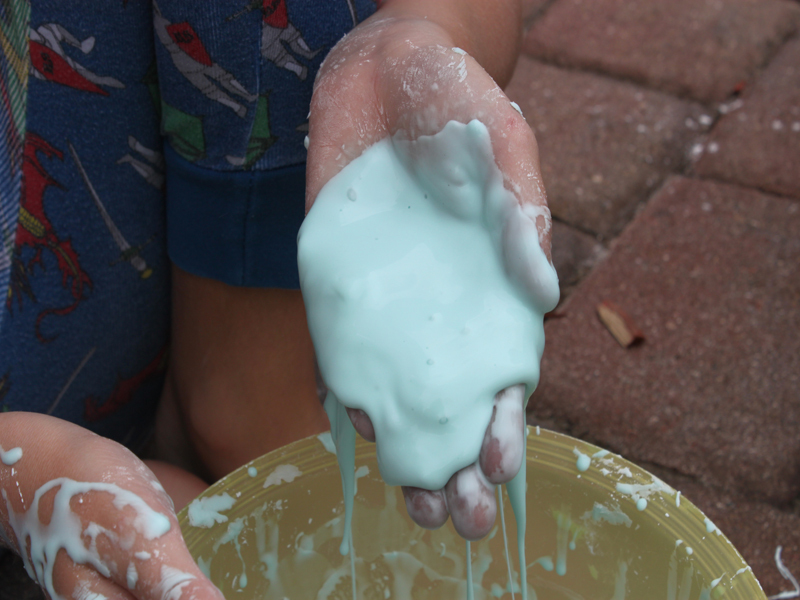 Read on to learn how to make Oobleck with your little ones. 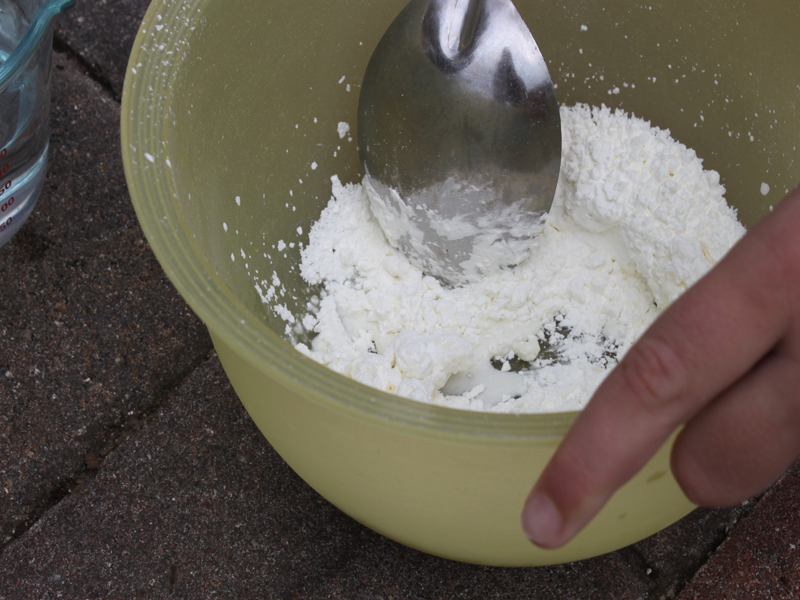 <h2>Step 1: Add Cornstarch</h2> Have your child add the cornstarch to a large bowl. 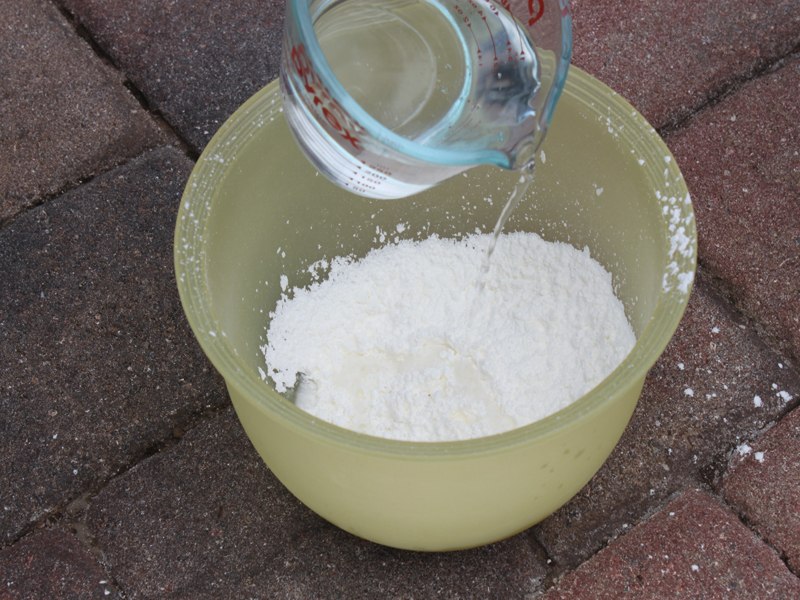 <h2>Step 2: Slowly Add Water</h2> Have your child slowly add water to the cornstarch, a little at a time until a thick syrup consistency appears. <h2>Step 3: Add a Little Color</h2> If you would like, you can add a few drops of food coloring. <h2>Step 4: Get Stirring</h2> Stir the mixture together. 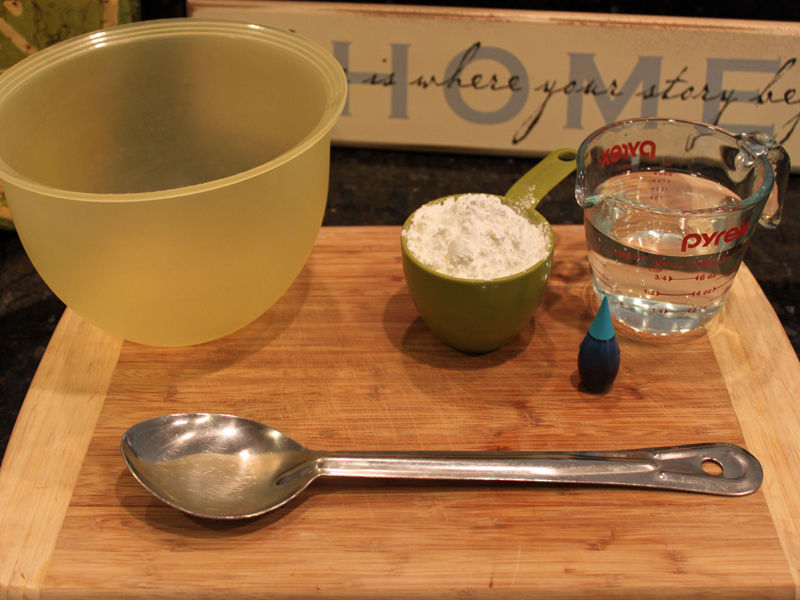 <h2>Step 5: Get Dirty!</h2> Have your child stick their hands into the Oobleck and squeeze the gooey mixture. Have them shape it into a ball, then open their palm. What happens when you pour the liquid, or try to hit the surface with your fist? 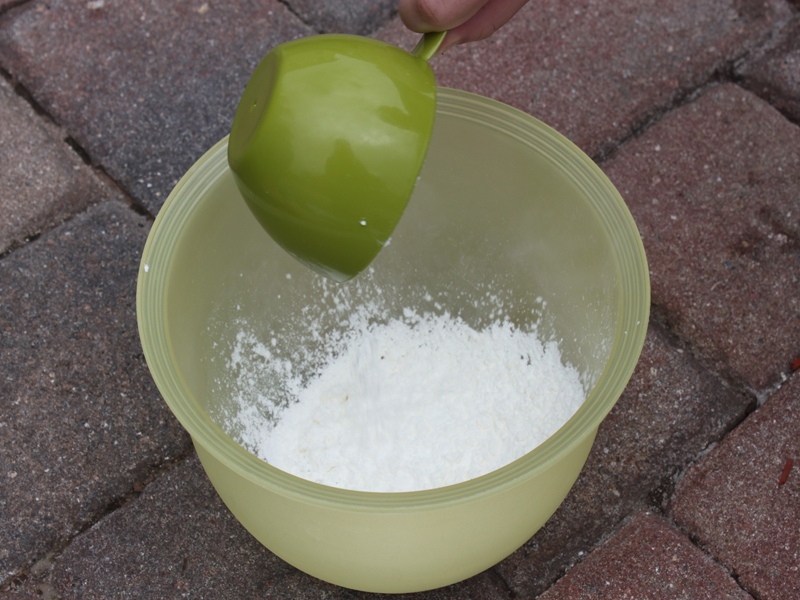 <h2>Why It Works</h2> Oobleck is both a liquid and a solid so you can shape it into a ball or you can watch it slip through your fingers as a liquid. Are your kids fans of the Dr. Seuss book Bartholomew and the Oobleck? 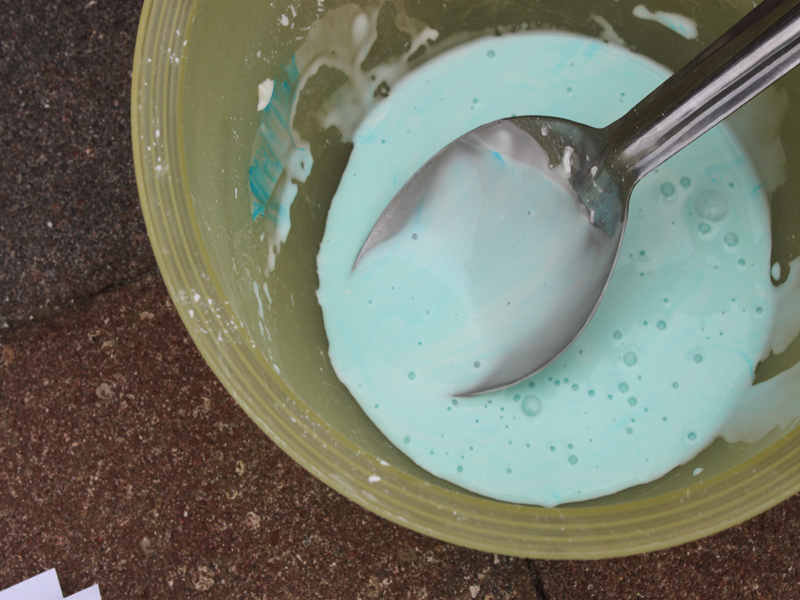 It's a fantastic story of the day Oobleck fell from the sky and wreaked havoc in the kingdom. Why not read this book together to celebrate Dr. Seuss's birthday today, and then head outside to make your own Oobleck? All you need are a few common ingredients you probably already have in the house. It only takes a few minutes to make, but it entertained my boys for several hours on a Saturday. They were mesmerized by the way that Oobleck is both a liquid and a solid, making for an afternoon of get-your-hands-dirty fun! 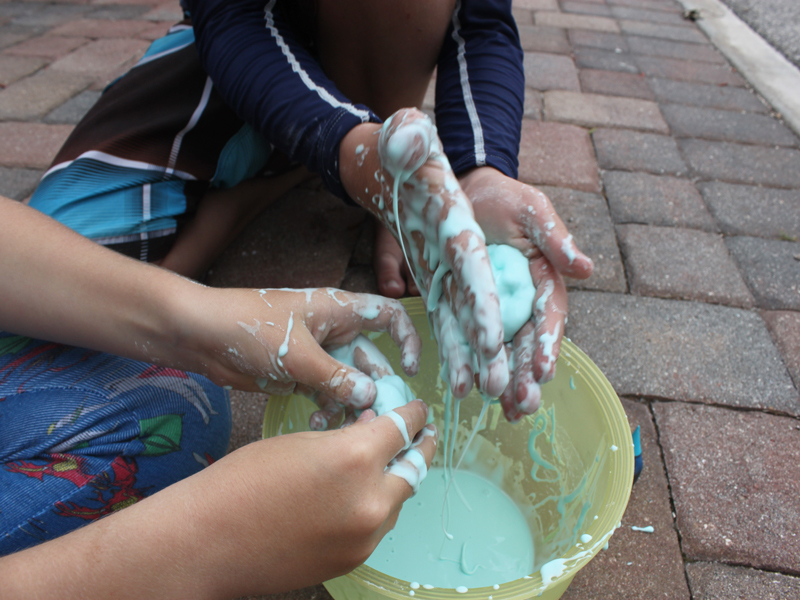 Read on to learn how to make Oobleck with your little ones.